Two thousand fourteen was a year of upheaval in my personal life, and because of that, books offered me even more solace than usual. Also, my ability to recall and string together words to form worthwhile book reviews has been greatly affected. Although I find the inability to articulate my feelings about the books I read to be disheartening, it has not discouraged me from reading at all. According to my Goodreads Challenge, I read 255 books in 2014 (first reading of single titles). However, the total on my 'books-read-in-2014' shelf was 269; that includes re-reads of books I have read prior to 2014. To make the numbers even more complicated, I read several books more than once in 2014. Then, there is my database total of 245, which is listed in detail below my favorites lists. Those twenty-five re-reads for the year were the following: Gabriel's Inferno and Gabriel's Rapture by Sylvain Reynard; Fifty Shades of Grey, Fifty Shades Darker, and Fifty Shades Freed (for the 10th time each!) by E.L. James; All Over You and Devoured by Emily Snow; Collide by Gail McHugh; Reaper's Property by Joanna Wylde; Outlaw and Crash by Nicole James; Lay It Down by Cara McKenna; Motorcycle Man (audiobook) by Kristen Ashley; Naked, All In, and Eyes Wide Open (audiobooks) by Raine Miller; Rare and Precious Things (Kindle edition AND audiobook) by Raine Miller; Unteachable by Leah Raeder; First Strike by Pamela Clare; The Scribe by Elizabeth Hunter; Carnal Innocence (for the 5th time!) by Nora Roberts; Try and Take by Ella Frank; and Worth the Fall by Claudia Connor. Six of these were read again before proceeding with the latest series installments. Last year also proved that, in some ways, I've become more particular and my tastes have changed considerably. I added fifteen books to my 'did-not-finish' shelf and attempted to re-read a couple of books that I had previously enjoyed. My opinions had changed so much that I was compelled to remove my ratings and comments for those books. The favorites listed below are the books that affected me the most emotionally. There were also several others I read which were published prior to 2014 that really got to me. Better late than never though, right? As far as my audiobook listening goes, so far I have only listened to books that I've already read in Kindle format. Last year I read 17 books through my public library's digital collection and I now hope to increase that number in the coming years. My Kindle Paperwhite currently houses 814 books along with numerous Authorgraphs. I'm starting 2015 with 126 books and audiobooks on my 'to-be-read' shelf. I've set my Goodreads Reading Challenge at 215 books this year, and the book I've chosen to read first is a novel in my favorite genre (romantic suspense) by a favorite author (Tracey Garvis Graves) entitled Every Time I Think of You. 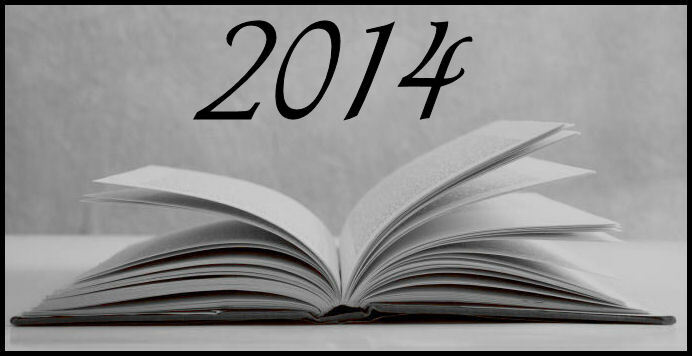 I wish you enjoyable reading in 2015!